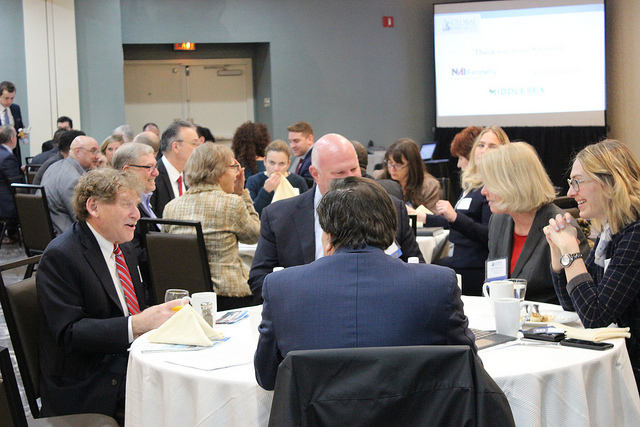 It was the first multi-chamber breakfast of the year with the Princeton Regional Chamber of Commerce, featuring global business CEOs, on Feb. 8. Members take advantage of the multi-chamber event to network with new friends. 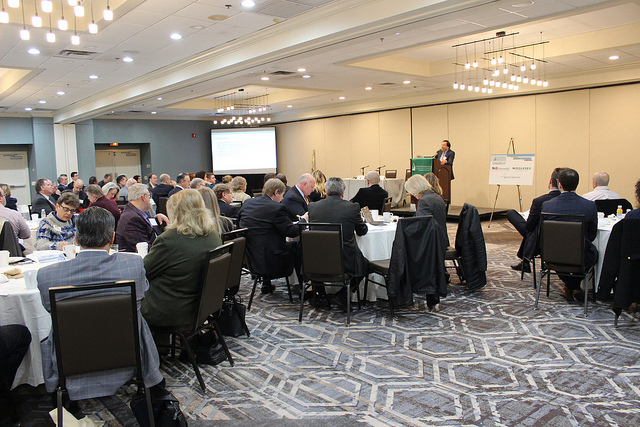 There was plenty of business networking (of course), a case study panel of CEOs from international companies doing business in our region and a full breakfast was prepared by DoubleTree Princeton. Keynote speaker Steven Richman, an attorney with Clark Hill, PLC of Princeton, provided members with 10 valuable takeaways for international success and explained the great companies that are making success happen today. Members listen to Keynote Speaker Steven Richman as he talks about international business success. He was also the moderator of a panel of corporate leaders, who are already using the “keys to trade success.” The panel included Larry Gottlieb, president of Resin Tech Inc., and Tarek Abousalem, CEO, of ElementOneDigital. There were also remarks from Janet Robertson, Commercial Officer for the U.S. Commercial Service, who spoke on trade success.